Some industry observers have described Shell’s well publicised decision not to progress its proposed Louisiana gas to liquids project as a negative for the broader GTL sector. Shell may well consider GTL in North America not to be currently attractive to them but the market is well and truly viable for small scale GTL. Indeed Shell’s fears over the vast capex required and significant project completion timescale serve to show just how attractive smaller scale GTL can be. The world scale GTL facility that Shell was considering carried with it significant project risk. The initial investment required was extremely high and schedules long. In contrast small scale GTL projects are less costly and are achievable in shorter time frames with far fewer resources required. World scale plants require long lead times however, small scale GTL like the unique end to end proven system designed by CompactGTL, benefits from shorter schedules creating a revenue stream that is online quicker from the final investment decision date. Due to the modular nature of the technology, projects can be designed to allow for phased production, generating revenue prior to completion of plant commissioning and without impacting the overall project schedule. The schedules for CompactGTL plants will also be reliable, greatly reducing the risks of project delay because long term supply contracts are in place between the company and Sumitomo Precision Products, Kawasaki Heavy Industries, Sumitomo Corporation and Johnson Matthey. These world class groups form a committed, high quality supply chain for CompactGTL projects, and the parties have supported the strategy by pre-investing in manufacturing capacity and also making equity investments in CompactGTL. Commercial risks for small scale GTL are countered by the lower initial investment, shorter schedules and opportunity for early production. However, in an industry where two names dominate world scale GTL, the technical risk for small scale GTL can be perceived as being high. CompactGTL has, however, eliminated the technical risks. The reactor modules are mass produced and made on a production line that manufactures identical CompactGTL SMR (steam methane reforming) and FT (Fischer Tropsch) reactors for consistency across multiple projects. This consistency allows for seamless and efficient reactor module refurbishments, the identical nature of the modules, each just the size of a 40’ freight container, means they can be easily relocated across various project and site locations. CompactGTL’s technology is also the world’s only small scale fully integrated technology to have achieved oil company approval for our end to end process, based on a commercial demonstration plant in Brazil, which has been extensively tested by Petrobras and operated for 2.5 years, eliminating any scale up risk for commercial plant projects that are now entering engineering phases. 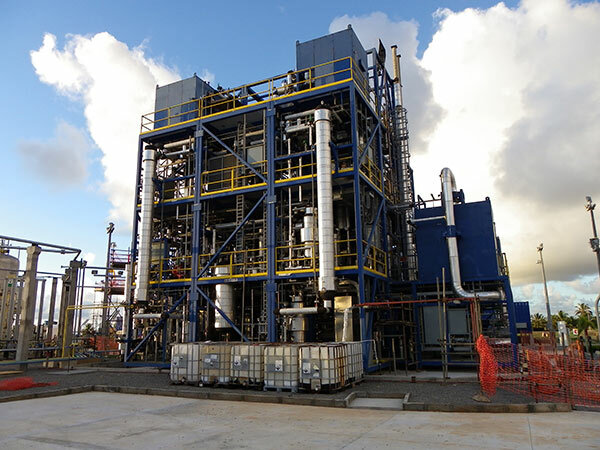 CompactGTL’s 20 bpd GTL plant at a Petrobras research facility in Aracaju, Brazil. The vast startup costs associated with world scale GTL also naturally impact future rates of return and in an economic environment which remains uncertain, this will have an inevitable impact on committing to large long term projects. Initial investment for small scale GTL projects requires less capital than world scale projects. Smaller investment opportunities open the doors for a wide range of project investors. CompactGTL has studied a number of different State tax regimes within North America and found that even in a market where gas prices are predicted to increase; small scale GTL projects can still achieve IRRs greater than 20%. Leasing options for the proprietary CompactGTL reactors also allows for a reduction in initial investment, where these costs are transferred to operating costs often improving the overall project economics. World scale plants rely on economies of scale, and returns are underpinned by selling high margin products such as speciality base oils and synthetic waxes and lubricants in addition to the higher volume outputs of syndiesel and synthetic jet fuel. Small scale GTL is attractive precisely because it is not dependent on economies of scale or speciality products. CompactGTL provides a solution for the end client to deal with problematic gas in challenging locations, whether associated or stranded. 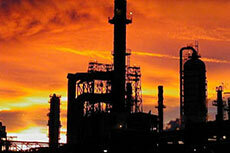 A GTL plant relies on a combination of SMR and FT technology working in a reliable, operable and integrated fashion. In the small scale GTL arena only CompactGTL has the actual operational experience of a complete modular GTL process, incorporating both SMR and FT processes as well as all the additional auxiliary equipment, utilities and systems required. Without this knowledge and experience of a complete working system, it is difficult to mitigate project risks and project investors should be very wary of small GTL projects being proposed which attempt to join the components ‘piecemeal’ from different suppliers. This ‘one stop shop’ ability, together with the proven technology is what marks CompactGTL out in the small scale GTL sector and makes its prospects so exciting. Small scale GTL will also benefit a greater number of local economies. Whereas world scale GTL focuses investment and resource on one location, small scale GTL can be deployed across many locations. The flexibility of the technology to fit a wide range of gas feed rates, gas compositions and the ability to be installed in remote locations lacking infrastructure, allows local economies to utilise stranded or shut in natural resources. It would be naïve to suggest Shell’s decision not to progress the Louisiana plant has not resulted in some tremors in the GTL sector. But it is clear what Shell’s decision does is highlight the scale of the risks associated with these massive capital intensive projects and underlines the attractions of the small scale offering, which has a proven ability to create economic value with none of the economic or technical risks of its world scale big brother. This piece was written following the article Smaller scale GTL by Iain Baxter, Business Development Director and Board Member at CompactGTL. Velocys discuss how smaller scale gas to liquids are a viable alternative to mega scale GTL projects. 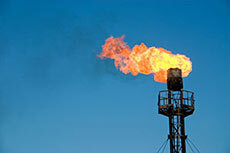 One US company is considering the billions to be made in recovery of flared gas reserves.